There are no claims to announce this week. Hidden Scroll – He set too fast of a pace in the Fountain of Youth Stakes (G2), finishing fourth. If he learns to rate, he can still be very dangerous. Improbable – A solid second in the Rebel Stakes (G2) should have him ready to roll in his next start. War of Will – He runs this weekend in the Louisiana Derby (G2), where he should be favored to win his fourth straight race. Omaha Beach – The Rebel Stakes (G2) winner proved that he is for real with a hard fought nose victory. Maximum Security – He looks to jump up in class in a big way for a start in the Florida Derby (G1). Mucho Gusto – We’ll see if Bob Baffert can get back on the winning side of things with this colt in the Sunland Derby (G3). Gunmetal Gray – An average performance in the Rebel Stakes (G2) was about what you should expect from him. Long Range Toddy – His Rebel Stakes (G2) upset over Improbable has this team in first place in the points standings. Bankit – We’ll see if he can run any better this weekend in the Louisiana Derby (G2). Cornacchia – After scratching out of an allowance race at Fair Grounds in mid-February, he posted his first work on March 15. Game Winner – His Rebel Stakes (G2) effort was valiant in defeat. He’ll move forward off of that race in a big way. Super Steed – Bone bruising has forced him off of the Kentucky Derby Trail. US Navy Cross – He’s posted several works in a row, but no public plans for a race have been made at this time. Anothertwistafate – The Sunland Derby (G3) will be his proving ground this weekend as he moves back to the dirt. Roadster – A sharp allowance victory has him pointing towards the Santa Anita Derby (G1). Galilean – His Rebel Stakes (G2) effort was good enough to keep him on the Kentucky Derby Trail. Haikal – The Gotham Stakes (G3) winner is safely in the Kentucky Derby. Now, he’s pointed towards the Wood Memorial (G2). So Alive – We are awaiting details of where he plans to run next. Tacitus – A perfect ride by Jose Ortiz earned him top honors in the Tampa Bay Derby (G2). Global Campaign – A minor injury suffered in the Fountain of Youth Stakes (G2) has forced him off of the Kentucky Derby trail. Code of Honor – His huge win in the Fountain of Youth Stakes (G2) was solid, while he now points towards the Florida Derby (G1). Signalman – It’s on to the Blue Grass Stakes (G2) after a poor effort in the Fountain of Youth Stakes (G2). Knicks Go – We can close the book on him after a terrible Gotham Stakes (G3) performance. Rowayton – This colt is training very well leading up to his first start in 2019, though no specific plans have been announced. Elvis – His debut race was… BAD. Instagrand – A poor effort in the Gotham Stakes (G3) has many wondering if he could be more of a sprinter. Kingly – After his second-place effort in the El Camino Real Derby, he might get another shot at a prep race soon. Mind Control – He looked like a winner in the Gotham Stakes (G3); however, he had to settle for second. Dream Maker – His Tampa Bay Derby (G2) was a total flop. 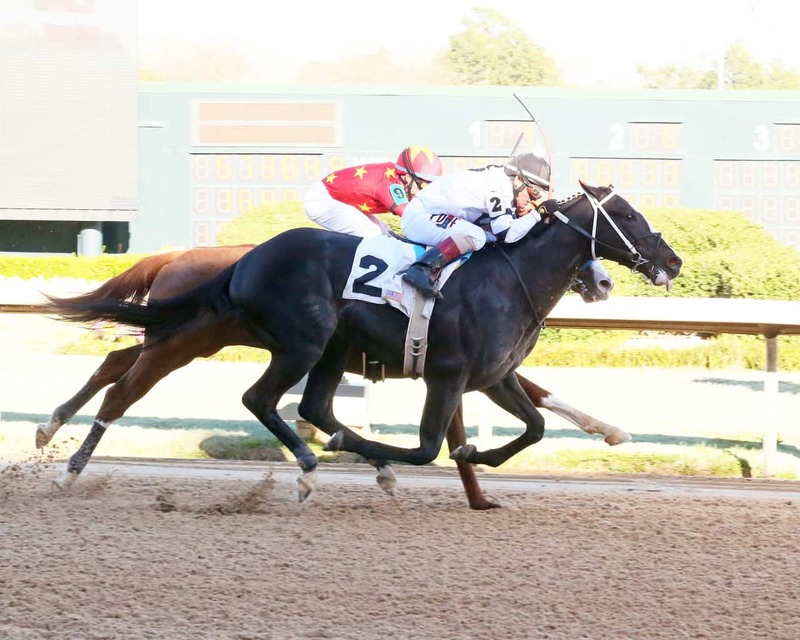 Dessman – After breaking slowly, he still ran well to finish second in an allowance race at Oaklawn Park. Country House – He will try to turn the tables on War of Will this weekend in the Louisiana Derby (G2). Gun It – It’s hard to guess what might happen next for this disappointing colt; most likely, it will be an allowance race. Spinoff – This flashy Todd Pletcher colt will try his hand in the Louisiana Derby (G2) this weekend. Intrepid Heart – Pletcher said that this horse is ultimately being pointed towards the Belmont Stakes (G1). Gray Attempt – A minor injury has forced him to miss some time; however, he could be back for the Arkansas Derby. (G1). Bourbon War – His fast-closing second in the Fountain of Youth Stakes (G2) was ultra-impressive. Mr. Money – He needs a big bounce-back race after a poor showing in the Risen Star (G2). He’ll run this weekend in the Louisiana Derby (G2). Win Win Win – His third place finish in the Tampa Bay Derby (G2) wasn’t horrible considering he had a very wide trip. Standard Deviation – It look like the Belmont Stakes (G1) is his ultimate goal. Nolo Contesto – A recent poor allowance effort in sloppy conditions was discouraging; however, he will still point for a prep race in his next start. Mucho – His strong 2019 debut in an allowance apparently wasn’t enough to for his connections to attempt the Kentucky Derby trail. He is now targeting a 7-furlong sprint at Aqueduct on the Wood Memorial (G2) undercard. Well Defined – The pace killed him in the Tampa Bay Derby (G2). Walking Thunder – The UAE Derby (G2) is still in play for a horse who has shown plenty of talent. Limonite – This recent claim did not pan out well when he was a non-factor in the Risen Star Stakes (G2), but he is on target to make his second start of 2019 in the Louisiana Derby (G2). Plus Que Parfait – He is now pointed towards the UAE Derby (G2) for his next start. Vekoma – His third-place effort in the Fountain of Youth Stakes (G2) was likely good enough for his connections to give it another go in a prep event. Mihos – An injury has forced him off the Kentucky Derby Trail. Tax – We’ll see him again in the Wood Memorial (G2). Sueno – He’s entered this weekend in the Louisiana Derby (G2). Owendale – Following a poor performance in the Risen Star Stakes (G2), he is being considered for the Lexington Stakes (G3). Will X Y Jet Finally Ascend To International Superstardom?